The collection at the City of Cape Town's Central Library includes more than just books. Patrons enjoy access to a range of DVDs and even VHS videos, along with a wide selection of art books. And this September, several workshops will take place in venues at the most popular library in the metropolitan municipality. Does your local #library stock more than books alone? ??? ?Libraries like this one provide computers, DVDs and videos, music and even chess. ?????? We visited the #CapeTown library with the most foot traffic to hear what they have lined up for @book_lounge's #OpenBook2016 festival. ???? Of course, there are shelves of novels in languages including isiXhosa, Afrikaans and English, reference books, some tertiary textbooks and children's books. ABOVE: The Children's Library in the City of Cape Town accommodates approximately 60 learners on weekday afternoons. 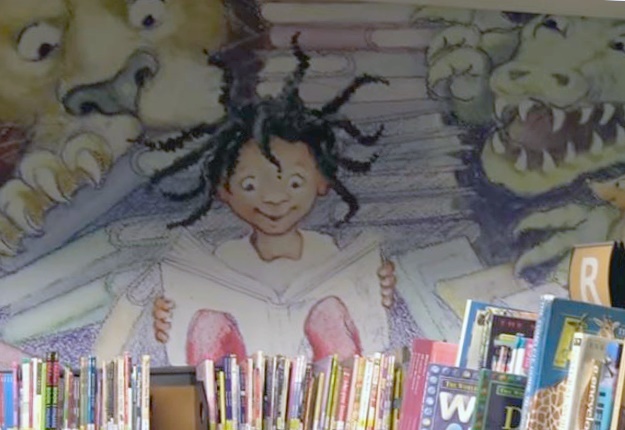 The library is a safe space, with educational material for the children. Library Marketing and Research Officer Nazeem Hardy told News24's Erin Bates* about resources available to the public ahead of the 2016 Open Book Festival. Hardy says the Central Library enjoys some of the highest foot traffic of all the libraries in Cape Town. It is housed in the Voluntary Drill Hall, built in 1887, and was renovated with the support of the Carnegie Foundation. Thanks to that partnership, there is now an American Centre at the library, where patrons can learn more about study opportunities. There is also an iPad laboratory and a coffee shop. 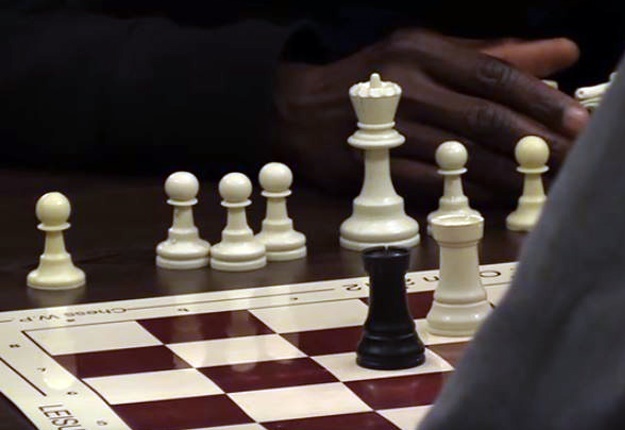 Hardy says chess is making a comeback in libraries around Cape Town, and local clubs often meet around boards at library tables. ABOVE: Chess games between players young and old are popular (and often fiercely competitive) in the Central Library in the City of Cape Town. He also discussed events, like workshops, music performances and talks, which enliven a library space often presumed to be quiet, and - quite honestly - a bit dull. Among those enlivening events is the Open Book festival, now in its fourth year. Some illustration workshops are taking place in library facilities during Open Book 2016 which runs from 7 to 11 September. ABOVE: Cape Town's Central Library on the corner of Darling and Parade Streets provides tertiary students with study spaces, online and printed resources. It enjoys high volumes of foot traffic, with many Capetownians stepping in through the 1887 archway of the old Volunteer Drill Hall. Mervyn Sloman, who founded the festival in 2012 between hosting launches and running his independent store The Book Lounge, listed the nationalities of this years' authors in June. He confirmed participants joining the festival from Botswana, Canada, Denmark, Finland, France, Ghana, Holland, New Zealand, Nigeria, Norway, Reunion, United Kingdom and the United States. The festival features a veritable smorgasbord of writers from across the fiction and non-fiction spectrum, comic artists, spoken-word poets, musicians and speakers. The event boasts some well-known names in South African literature along with some writerly stars from abroad. 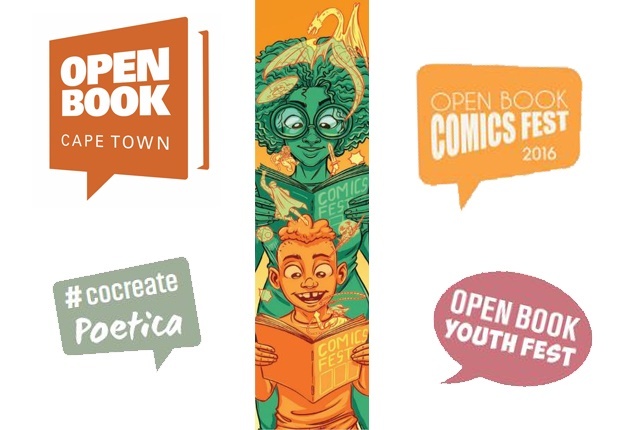 ABOVE: Cape Town's fourth Open Book festival takes place in September at venues including Ottery Library, District Six Museum, The Fugard and the Book Lounge. It incorporates events catered to young readers, bardic souls, crime fiction fundis, news nerds and comics fans. Poets featured include James Matthews and Koleka Putuma, academics like Achille Mbembe are involved as are novelists such as Deon Meyer and Lauren Beukes, along with journalists including News24's own editor Adriaan Basson, Marianne Thamm of Daily Maverick and political analyst Justice Malala, who hosts the Justice Factor on eNCA. Critics of literary festivals in South Africa, particularly in light of the cost of books and prevalence of English manuscripts in publishing, might be pleased to find a number of multilingual events on the Open Book programme. For more on the Central Library in the City of Cape Town see here. You will find details of the Open Book Festival, including free events open to the public, here. *Note to readers: News24 reporter Erin Bates has worked in the book trade, both at Clarke's Bookshop on Long Street and The Book Lounge on Roeland Street. She also held a panel discussion at the Franschhoek Literary Festival in 2014 and will be participating in Open Book 2016.